While the world of end-caps and shelf signage may not get much attention from the creative community, shopper marketing truly drives sales. And this year, some of the most powerful campaigns were cooked up by Walmart, Procter & Gamble, and Coca-Cola, making them among the biggest winners of the Shopper Marketing Effie Awards. P&G won a total of six Shopper Marketing Effies, with Walmart winning five, including four in partnership with P&G, and one working with Coca-Cola. 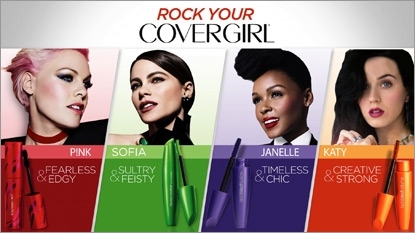 “Rock your Covergirl,” a campaign created by P&G’s Covergirl division, Walmart and Saatchi & Saatchi X, won a Gold SME. The effort is credited with increasing the cosmetic brand’s market share to its highest level in 24 months. And the same team also won a Silver for “Made With American Jobs,” which included such P&G brands as Tide, Bounty, Crest, and Oral B. The same trio also scored a Gold for the "My Black is Beautiful" Ambassador Search for Walmart, Covergirl, and Pantene, with Burrell Communications and GlobalHue contributing. That program sparked a 20% sales gain for Covergirl, and a 60% bump for Pantene. Walmart also won a Gold SME for its “Coca-Cola Share It Forward” collaboration with Shopper Events and Collective Bias. That inspired shoppers to share more than a million Cokes, connecting retailer, shopper and brand, and driving double-digit sales increases on 20oz Cokes. *Kimberly-Clark and Geometry Global, for “We Got U at Walmart” for U by Kotex. *Procter & Gamble, Walmart and Saatchi & for “Swaddlers for the life of your Baby” for Pampers Swaddlers. It was the fifth annual award ceremony, held at the Path to Purchase Institute’s 2015 Shopper Marketing Summit held in Schaumburg, Ill.